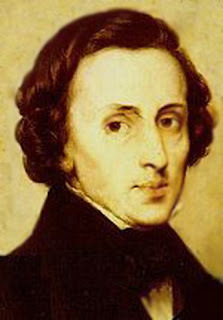 Today it´s the birthday of Frédéric Chopin. On TV arte there is a big concert at Warschau in Poland, I just saw Evgeny Kissin play one of his piano concerts. Just now Nicolai Demidenko is playing. I found them both so wonderfull and a good combination for this Galaconcert. Antoni Witt the conductor of the Warschau Philarmonicers is very charming and I enjoyed his Interpretation very much. He seems to be in great understanding with Evgeny Kissin. I think it´s very touching to see him play in his ages. He does so wonderfull Chopin Interpretations. Schau mal hier: Grigorij Sokolov - ein ganz besonderer Pianist! Toller Tipp, dass muss ich direkt ausprobieren, wenn ich heute abend heimkomme. Aber ich denke es liegt an meinen grünen Augen. Thanks for sharing these....i really enjoyed listening to Nicolai play Chopin! Chopin ist einfach wunderbar! Hach, wie ich doch das Klavier spielen vermisse!